As a local estate planning and elder law resource, the Potter Law Firm is here to help if you are ready to put an estate plan in place to protect your loved ones and preserve your legacy. We have assisted countless people throughout the Charlotte area, and many of our clients reside in Ballantyne. Ballantyne is a neighborhood in the city of Charlotte, North Carolina, which occupies a 2000 acre area of land adjacent to the South Carolina border. The master planned community was developed on the farmland of the estate of James J. Harris. The area began to evolve in the mid 1990s,due to the rapid growth of Charlotte and the construction of I-485. The first houses and office buildings were built in 1996. In the center of Ballantyne stand “The Monuments of Ballantyne.” The four 30-foot monuments celebrate the history and future of Charlotte. The structures were commissioned by Charlotte developer Johnny Harris and created by Yugoslavian artist Boris Tomic. Each monument tells the history, attributes, and character of Charlotte. Ballantyne has grown to become the destination for those who enjoy big city amenities with the charm of a close-knit community. We provide holistic estate planning and elder law solutions to people here in Ballantyne. It is important to prepare for your active retirement years, the twilight years that will follow, and your eventual passing. When you take the right steps you can be ready for each stage of life. You will also be in a position to leave behind a suitable legacy to your loved ones. Arranging for the eventual distribution of your property to your loved ones is at the core of estate planning. This is often done through the creation of a last will, and this is a good choice for many people. However, it is not your only option. Revocable living trusts are very popular as well. These trusts facilitate asset transfers to your loved ones outside of the time-consuming and costly process of probate. People with disabilities often rely on government benefits to pay for expensive care and treatment. These are need-based benefits. A direct inheritance could jeopardize benefit eligibility. As a result, when you are planning your estate, you must take certain steps to provide for someone with special needs without affecting his or her eligibility for much-needed benefits. When you are creating a will or trust you should consider the postmortem aspect. What actually takes place after you pass away? Estate administration is part of the equation. You must make sure that you have an estate administrator in place who understands how to proceed after your passing. If you take the right steps in advance, you can provide a turnkey situation for the loved ones that you will be leaving behind. Estate planning should ideally be viewed as part of a holistic financial plan. Actions that you take along the way are certainly going to impact the complexion of your estate. We help clients integrate all of their long-term financial goals so that they are comfortably moving forward every step of the way. If you would like to take the first step toward developing a relationship with our firm, we offer some great opportunities on an ongoing basis. 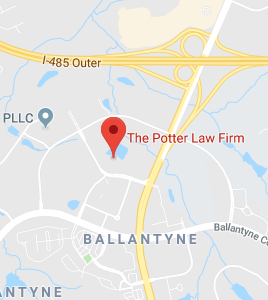 We hold estate planning and elder law seminars in the Ballantyne area, and you can learn a great deal if you attend one of these information sessions. They are free to attend, and we have different starting times, so you should be able to find a seminar that fits into your schedule. To obtain details and registration information, simply click this link: Ballantyne, NC Estate Planning Seminars. We are here to help if you are ready to schedule a consultation. You can call us at (704) 944-3245 or send us a message electronically through our contact page.